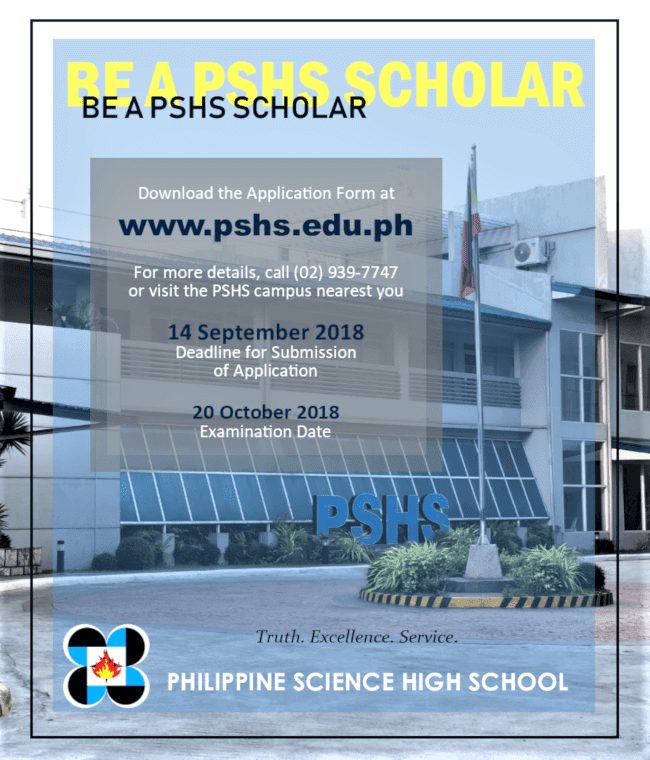 Philippine Science High School, the country's premier science high school, will be holding its entrance exams for the school year 2019-2020. Formally known as the Department of Science and Technology - Philippine Science High School System National Competitive Examination (DOST-PSHS NCE), the exam will be held on October 20, 2018. Have at least a satisfactory rating (or its equivalent) in his/her Character Rating for Grade 5 report card. Deadline of submission is September 14, 2018. Having a big, extended family of Pisay kids, parents, teachers, and admin! These tips are from me and I'm sharing this as a Pisay parent. Ralph is now an incoming Grade 12 Pisay student and will be graduating next year. How time flies! Still, I can remember how we "prepared" for the NCE back then. We didn't enroll Ralph in a review center. I just bought him 2 volumes of the MSA Philippine Science High Schools reviewers that I bought from National Bookstore. LOL! Then, when we submitted his application form and requirements to the Pisay Registrar, I was able to buy the NCE Reviewer booklet. He was also enrolled in Kumon Math back then and was already in Level H so I was a bit ok with that. Ralph was accepted as a Pisay alternate scholar. This means that he wasn't part of the original 240 students who passed the NCE for enrollment in the Diliman Main Campus. The Registrar informed me in the last week of May 2013 and we were only given 24 hours to decide if we will accept the scholarship or not. And the rest, as they say, is history. The NCE is designed to measure Scientific Ability, Quantitative Ability, Abstract Reasoning, and Verbal Aptitude. While Ralph was already doing well in his old school, I knew that the competition was really tight because only 240 examinees will be accepted for each campus. Even so, do not be discouraged. Not everyone who passes the NCE accepts the scholarship and the school is obliged to offer it to the next qualified applicant to fill the spot. Ralph had bad days in school. I can't count how many times I prayed a novena every quarterly exams! The kids are very competitive BUT everyone is supportive of each other. Even the parents! We're like one big family. Moms who are always present in school activities look after the dormer kids who are from faraway provinces. And the mommy and daddy friends I made in Pisay are for keeps. I believe we share a special bond because we are all pressured to support our kids in school. Thankfully, my boy is doing well. He's currently the Student Council president and an active member of the PSHS Main Campus debate team. Apart from that, he formed a rock band with some of his batchmates and is also the pianist for his batch's church choir. See? Pisay is not as tough as you guys think it is! It's a crazy, fun adventure everyday. And I hope that this post will encourage you to apply for the NCE.